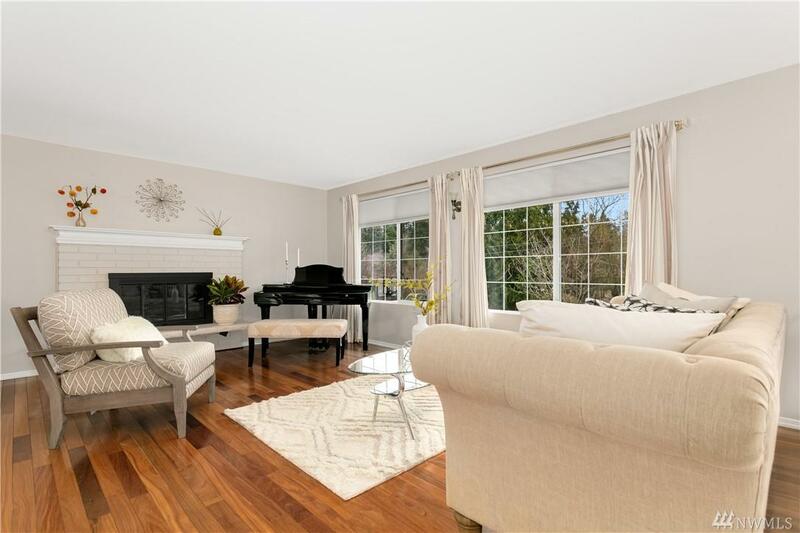 Set beautifully on a flat, sunny fenced 9,500 s.f. 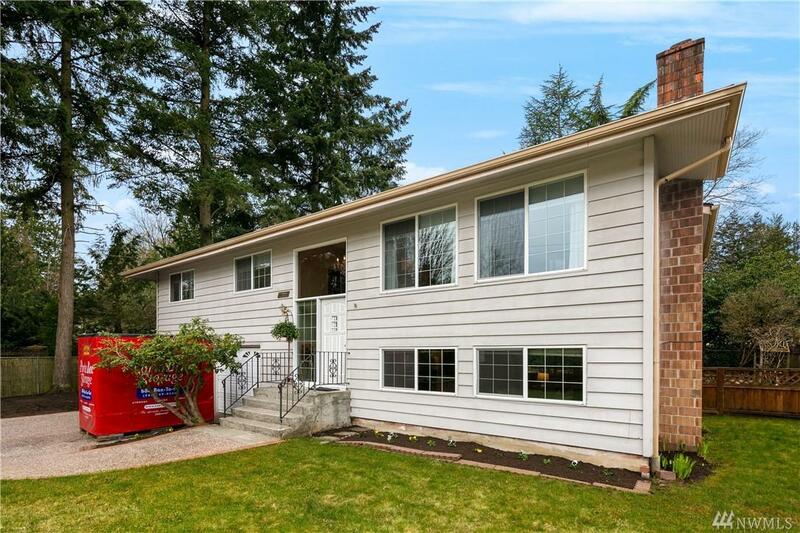 lot, this classic of the 60's split level home is nice! 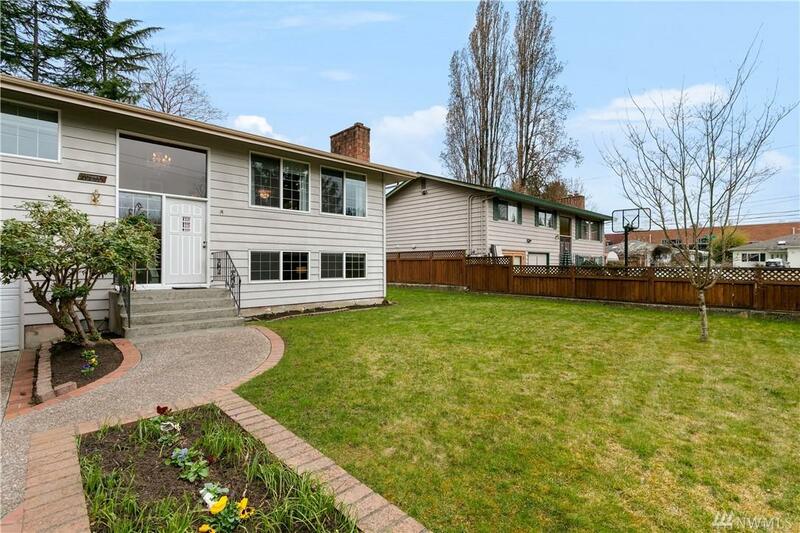 Find a light, bright, living & dining room, an even brighter well updated kitchen w/eating space. Three bedrooms on the main, w/hall & master baths. Huge deck! 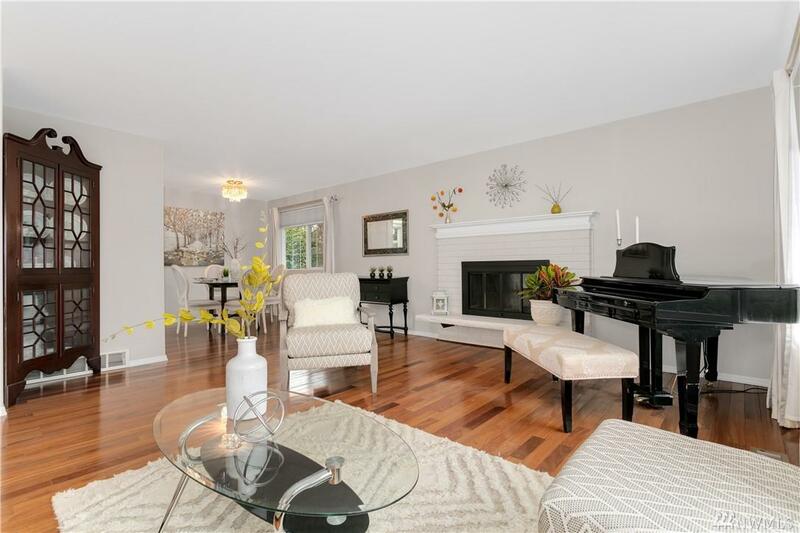 On the lower level find an oversized family rm w/2nd fireplace a 3/4 bath and gigantic, two car garage + shop space. Just a block from Olympic Hills Elementary School which ranks in the top 20% statewide. All on a quiet cul-de-sac.